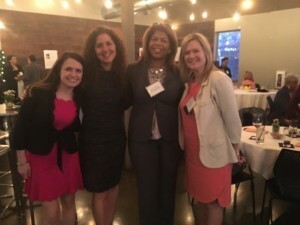 Attorneys Donna MacKenzie and Emily Peacock recently attended the 2016 Reception for Education and Community Leadership, hosted by the Women Lawyers Association of Michigan Foundation (WLAMF). The primary mission of the WLAMF is to support the education of women who show leadership in advancing the position of women in society. 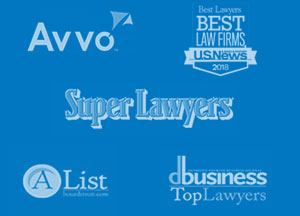 This foundation was founded in 1983, and in the time since it was reorganized around this mission in 1997, WLAMF has awarded over $500,000 to 215 women law students attending Michigan law Schools. The annual Reception for Education and Community Leadership was held on March 23, 2016, at the Great Lakes Culinary Center in Southfield. This traditional event provides the WLAMF and its members with the opportunity to recognize the recipients of the foundation’s annual scholarships. This year, 10 women law students were recognized for their demonstrated leadership capabilities, community service in such areas as family law, child advocacy or domestic violence, commitment to diversity, and potential for advancing the position of women in society. Donna MacKenzie and Emily Peacock were honored to attend the reception acknowledging the hard work and achievements of their future colleagues.